" WNYC is supported by Austria where the village of Schwarzenegger is known for its local cheese traditional crowns and once a year thousands of Hubert fanatics. Cheese and -- you can ask for much more life -- that learn more and experience Austria dot com hi this is John Schafer you're listening to WNYC. On demand pod cast streaming and MP3 downloads available when you want but wnyc.org. And iTunes." " This sound effect on John -- your driver and let's face it on March 17 everyone is. Today's -- day for relic in real suitcase and heartfelt lament for the old -- Well they Irish born rocker novelist Larry per one wants to tell you a different story -- Saint Patrick's Day. It's the story of immigrants chasing an elusive American dream and the greedy financiers who helped keep things that way. Her one is the founder of the Irish American rock band black 47 these new album is called anchors and gangsters. It also playwright and novelist in his new book is called rock in the brooks Larry welcome back to sound check. Here. Now it -- weeks that the first first half of the show talking about you know messages and hip hop is a long tradition of topical songs in Ireland." " Yeah and now we formed a 47 it was a sincere. You're discourse and we formed back for some to actually beat politicos listened to think and -- unless you are politico. Keep away completely clueless because it takes a certain technique and it takes a background to to turn it into any kind of art otherwise becomes preachy and a well that's the date that the problem isn't -- the message gets in the way of the news. -- so what. When you're writing missile and is that you have something in mind. You know how to untangle. The message from the songwriting process well you have to feel that from the start catches its use I'm just gonna ride about this particular subject -- in the paper right now parties I couldn't do that. It has been something that is deep -- in new and and it does stills -- through this. So bankers and gangsters you feel this deeply. The Wall Street implosion and all kinds of did you lose a fortune off street nobody. A lot of people around like 37. If you notice and messiah I mean knock out four different instances. We're different characters the first is that a college graduate. And basically -- ripped off big time because everybody now expects them to be interns hours and have. Fifty -- and even. 150 grand and in. -- there is that an -- of the woman who. Has been added jobs for twenty years gets a pink slips and over you know just overrides that. As the that the clip we're." " Exactly so so -- that the point of the song is that all these different people in different walks of life even if they don't realize that are being impacted by what's happened." " While I think they do realize that but their voiceless. And that was always -- forty some I was about to tell the story of the people who. Like black 47 music you know our demographic and -- do you tend to be Iraqi veterans are people who've lost their jobs are. College students who. How big debts. That's who you're playing to." " Well this is -- the only -- and there's a lot of mother. This is the the title track to the new black 47 record bankers and gangsters. 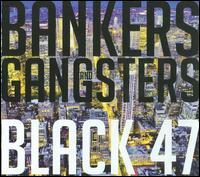 Title track from bankers and gangsters the newest record the Irish American rock band black 47." " Founded by Larry -- Juan with singer and songwriter and guitarist -- with me in our centric studio the Saint Patrick's Day and you know that. The band name black 47 refers to the blackest the darkest year in in the potato famine 1847." " Since that time there has been a steady stream of Irish immigrants to the shores." " But your generation the generation that grew up with rock music was it a different experience for you." " To come over here yeah. Yeah I came for the adventure and I didn't have to. To emigrate. It's like I came back and look for fort street because that possibly -- Bob Bob Dylan and and it up on thirds for each. But yeah it was different and but we all room went to the same area like the Bronx was where the music laws that was an area there Bainbridge avenue. And -- and fourth street that had. Maybe -- 2030 bars in a quarter mile radius. And there was music and -- and so. You could actually globe that are in four nights a week can make money from when when you sing music -- traditional Irish music no it was basically eight. You know any kind of music that would draw people and it tended to have some. Connections are Ireland. Differences on black 37 was starting off -- wanted to hear the polled in the water boys and Christy Moore. We it was and now we we certainly don't do that we're doing black -- seven we don't wanna. Look backwards we wanna look for -- we're in the city. Bob Dylan Miles Davis. Chuck. Music for Irish Americans. -- that was idea." " Madden and and so the experience of those Irish Americans wouldn't it sounds like would have been a little different from previous generations which you know there really was this kind of glue -- super glue of this century's old folk tradition that held a lot of those people together right." " It was a music quiz that was why held them together in because. There faraway united they've come from green fields and -- in the concrete feels of the Bronx and Brooklyn queens and upper Manhattan. And the only thing that it would hold them all together was the music going to bars and listen to the old songs -- we were trying to do was to us say yeah great but. We got the songs for you now that that was used some of those old melodies but will update the songs you're now talking about. Modern emigration. Is that what's happening with one starry nights this that this is a traditional song on the new record -- and and that's an unusual one in that it's it's. A song of the tinker people. The so called travelers travelers and I heard it. When I was about thirteen this come from school Monday and ignore -- normally the truckers and thinkers -- no value to. The amongst them but they were. Watching this -- just just explain travelers and -- is sort of occupy a position Irish hierarchy akin to Gypsies in central or Eastern Europe yeah very much like that and very much the -- Of the scale but they have their own culture just like to Gypsies. And they had their own music which I didn't know back until I happened upon this bunch of them and the guy was singing this song about a woman called Molly ball and and open to and I -- since The Beatles in Russia on -- holder and she loves you enough for the first time I heard about a woman who had two lovers. When he was her husband wasn't like I wanna hold your hand. The -- she had left when this goes way beyond holding yeah yeah yeah that's one guy for another guy and the sound floored me and stayed in my head. -- and eventually. I have already written different parts of it when I found it again on it --"
" So it's a traditional song you've added words and kind of reshaped it a bit and this is how it appears on the new black 47 record on. So." " An old song on a new album from the Irish American band black 47 led by it works for its own Larry Kerr won this with me here in the studio so one starry night an old. Tinker -- that the people known as travelers there in Ireland you've added to it arranged it and now it's a 4017." " Leo well Anderson anyway it was in my head and I had to -- added a different analogy and from counter melodies. And I knew some of the words of the but I actually want to see what happens sure you know what happens a woman so I had actually gone ahead and positive that she moved to England with this other guy and meanwhile. The husband who's looking for her is traveling around aren't looking for them threatened to kill -- is." " Yeah. So storytelling a big part of of the Irish tradition and and to that extent a lot of black 47 you know a lot of these songs tell stories as we talked about with bankers and gangsters there's like four separate tales being told there. But that's doesn't seem to be enough for you because you -- long form stories as well and you know at the same time that you were making this album. About you know people who have been affected by Wall Street. You're writing this novel rock in the Bronx about -- generation of Irish immigrants coming to New York. Did you feel a connection between you know the." 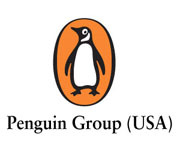 " The kind of the grasping for that American dream on the part of the people in the book and then what happens to people who are supposed to be living the dream on the record." " Neither the -- of a definite choose separate. Lives there this is the book is set in between 1980 and 1982. Up in the Bronx and I said in that period because it was a watershed period for emigration. But more so for the city and for the US because at the end of 82 -- Lewis finally identified. And Ronald Reagan actually became people sort of taken serious. And in the mean time between eighty and 82 Bobby Sands -- and John -- had been assassinated. So it was a lot of things happening and also be the area up there Bainbridge avenue into an in fourth in -- and king's bridge avenue is very very Irish at the time. And that's. I suppose some people just move their first civil and what would happen as you know people were arriving in the west coast of Ireland. Basically with and address. He gets the Bronx go to this -- you'll meet Johnny from down the street. And you get a job and so you in Iraq a view hood. Drink all a lot of beer and and you would start work in Manhattan on a building site the next day. And it's it was a really vibrant economy I mean everyone is legal and it was a cash economy. Because people couldn't have checks and so they would if they gotta check the go to that the art cash the check and not spend good -- Aaron and you'd drinks for the weekend and an -- off again on Monday and it war condemn but -- music all around. It was just a new it was a great story and when I was up there. At that period playing music. But you were not part of that says that's not where you live you lived on the lower you know I lived on the lower side which was interesting because EC. The Bronx is split into at that point and the concourse was the the grandpa of course I'm caucus dividing line. You know that was the sound Bronson hip hop culture that you were speaking about earlier. Above that with this very contained Irish culture. Now the Latino and the Irish to mix at all which kind of floored me because I was and in Puerto Rican neighborhood in. -- size though. I adapted I knew that many Puerto Rican friends but up -- of the Irish and he Perkins didn't. Interact so that's part of the story of the book to. What happens swine. Boyfriend is looking for young woman and filings that she had this has it very different way of looking at life now." " And that's a very different life period very different life here and and and another character. You know becomes very ill and to us reading the book in 2010 it's clear he has aids but everybody in the book you know there is no such things aids it's in didn't we didn't know -- whole -- I was getting wiped out at that point because people shared needles on Hillary's side. So. All the junkies and you -- again. That the people and -- recycled -- the curse that in the auto long cities you and then it was decay can sir I mean there were all kinds of names as it began so. So it really is kind of a snapshot. Of the beginnings of some really bad stuff but but also this kind of weird. In essential to health CR moment for the Irish. The illegal immigrant community up there and gaelic park where they were played football and stuff. What happened to see well it lasted until about 9394. A CR muscle poor." " That point that anyone could get in. And everyone went to Bainbridge avenue. Is it. But I don't know -- known black 37 formed up in the Bronx and fled therefrom. 1992. 93 AM when we got to hit and we went on tour and we came back in 95 and was gone. And the area just upped and moved and moved to Yonkers and would gone. And unfortunately what happened though is that the wasn't the culture of -- music in Yonkers in the same way and what what was great about the Bronx was that there was live music every night and that didn't transformed. Trans." " against there was something about. The having all of those places it was critical mass of of places in one area where something just busted an analyst music happening -- Britain that it was the Yankees." " That there were groups in Brooklyn queens and they didn't have like music the same either -- the Bronx Warner music." " While the music of black 47 continues whether it's the Bronx -- not -- new album is called bankers and gangsters. And the story of that Irish immigrant community around Bainbridge avenue is told Larry Kerr wants new novel called rock in the Bronx. The band black 47 -- saint Patrick -- guys were in Boston just a few hours ago but." " It just off a plane and the band will be playing tonight because it is the one of those days." " At BB king it's 7 o'clock tonight black 47 celebrate this saint patty's day with them Larry thank you for spending saint parts." " Part of your Saint Patrick's -- us the pleasures Alastair." " That'll do it through today's sound check tomorrow artists at the height of their fame can reach depths of insecurity and self doubt." " The analyst's couch will be open as we examine artists from Duke Ellington to Benjamin Britten. And jazz drummer Dan -- brings his trio for a live performance speaking of live performances." " April 6 will be in the -- ground floor performance based WNYC he's green space. With Sharon Jones and the -- games plus a population singer on a --"
" Tickets are only ten bucks get curious WNYC. -- award. Our technical directors -- our engineers today Jason Isaac." " With help from Janelle mulling infantry school on." " Thanks for listening to WNYC. On demand please check out our other programs that wnyc.org. Or on iTunes. This free service is made possible by our listeners become a member of WNYC. Today."